Mix brown rice and whole moong (green gram) in 2:1 proportion. Add a fistful each of methi seeds and channa dal to this mix. Soak the entire mix in water for a couple of hours. Grind well to a dosa batter consistency, and make dosa on a pan instantly. The dosa can be eaten with either chutney or dry chutney powder. 1 Comments | Posted by admin at 5:53 am. 1 comment. Soon after I wrote a piece last week on Manipuris’ rice eating habits, a reader sent me an email on rice, titled “Rice was never meant for human consumption”. It went on to say how cavemen ate everything raw (fruits, veggies, nuts, meat), that they did not eat rice, wheat and other grains because they didn’t cook, that rice converts into sugar, white rice has no fiber, one can overeat rice but not fruits & veggies, rice is difficult to digest, and so on and so forth. 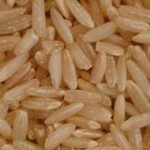 Rice is meant for human consumption but not compulsory in everyone’s diet. There’s a huge difference between a caveman and a modern day town dweller. If we need to follow the caveman’s food habits, we also need to follow the rest of their lifestyle! Rice, like all other carbohydrates, ultimately gets broken down into glucose. There’s nothing wrong with this biochemical cycle since glucose is needed for our daily energy. 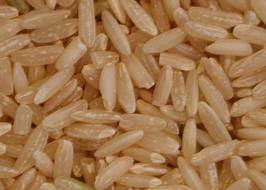 White rice has very little fiber but brown rice has more fiber and also more vitamins. Rice is not difficult to digest. Enzymes secreted in the human digestive tract are capable of digesting rice as well as other food groups. It’s good to reduce the intake of starchy items like rice, wheat, etc, and increase the intake of fruits, vegetables, sprouts, etc, especially if you’re watching your weight. 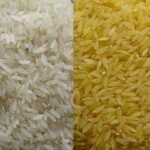 The bottom line is rice is not harmful when eaten the right way and in the right amounts. 1 Comments | Posted by admin at 3:42 am. 1 comment. We went for a delicious Parsi lunch at a friend’s house yesterday. Lunch included brown basmati rice, cooked so right and tasting so nice. Brown basmati rice is as aromatic as the white variety. 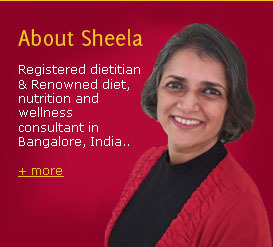 Nutritionally, it’s as good as the other varieties of brown rice. More nutritious than the white rice varieties, though. With its bran and germ layer intact, brown rice adds more nutrients to your plate than white rice. 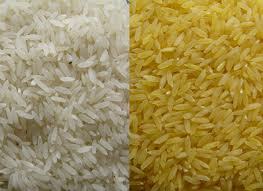 Try brown rice at least once….and you might change over from the white variety permanently. 3 Comments | Posted by admin at 3:43 am. 3 comments already!